Your Life belongs to you……not to your parents or your partner or your work. Your life is yours to choose, to live, to learn, to let go and to enjoy. Your life is a participative play. You are the director, producer, actor and even set designer. Your life offers infinite opportunities to undo and erase and choose again. If we weren’t so caught up in judging evaluating, comparing and analyzing, we could easily change it. If we weren’t so involved in rehearsing and writing others’ lines, we would notice we can change ours. If we didn’t spend so much time blaming and complaining about the script, we could see what’s next. If we didn’t take on responsibility for changing the other players in our act, we could master our own. You see, when all is said and done, we did write the script for ourselves. We have imagined the lines ahead of time, without taking responsibility for their creation. We have bought into the “reality” of what is meant to be a “play” and gotten stuck. We thought what we were experiencing was real and unchangeable and neglected to rewrite our part. To take responsibility gives us power, the power to change or choose something different for ourselves. To take responsibility gives us creative license, to rearrange the outcome of our own drama. To take responsibility means we can forgive and erase, rewrite and choose again. To take responsibility sets us out of all victimization where no one is blamed for what doesn’t work. Let’s take responsibility for stepping away from negative situations. Let’s take responsibility by responding to others insanity with sanity. Let’s take responsibility by choosing to be respectful to everyone. Let’s take responsibility by treating ourselves with impeccable care. When we are at our best, conscious and aware, we can choose to take the high way. When we are happy and in love, we can respond to those in fear and anger with love. When we are willing to learn from every relationship, we can heal what is not healthy. When we are aware of mistakes in behavior and languaging, we can apologize and make amends. Our life is for us to learn a better way. Our life is about being willing to correct our own mistakes. Our life is about choosing our thoughts, words and deeds consciously. Our life is an opportunity to explore creative possibilities to find what words most successfully. When we are flexible with willingness..
We can respond to all situations in a healing and inspiring way. In every moment there is a magnificent opportunity to learn something wonder-full! When we are not learning, we are wasting this precious instant. When we are not learning, we are vegetating. When we are not learning, we are not paying attention. When we are not learning, we must be asleep. So what does it take to wake up? What will it take to value each and every moment. What will it take to show up, pay attention and learn some Truth. What will it take to be fully alive, alert and enthusiastic. If life is boring, have you become habituated in being entertained? If life is empty, have you been sucking the fullness of life in your neediness? If life is blah, have you been seeking thrills and more stimulation? If life offers nothing, have you grown accustomed to be wet nursed and fed by others? Is it time to show up and give? Is it time to be awake and contribute? Is it time to take action and connect with a higher purpose? Is it time to really pay attention and savor every moment of Loving. In this age of hype and maximum stimuli to feed our senses, we often close off the real energies of life. In this time of short term gratification, we often measure our achievements by immediate pleasure. In this time of entitlement, looking for where we can get the most and give the least, we act selfish. In the ways of the ego, we may look outside ourselves to feed, stimulate and make us happy and fulfilled. Is it possible that we are missing the boat? Is it possible that we are lost in confusion? Is it possible that we are chasing rainbows of illusion? Is it possible that you have not yet claimed your worth, your purpose and your own life? I am fed everyday in feeding myself and others. I am nurtured in everyway by filling my world with nuturance and love. I am stimulated by the incredible beauty I seek and find, create and enjoy. I am loved by every loving thought word and action of everyone everywhere. Life fills me with its fullness. Love sings and fills my heart. Light inspires me with vision. You and I together are co-creating this world and everything in it. Loving you and me together, forever, and All That Really Is. What do you do when it is all about You? Life is an experience of recognizing it is an inside job. When there are changes to be made, they must be made within. It is our own attitude, perceptions, beliefs and history that are being reenacted on our own personal stage. Wow! So if that is true, all I need is to undo what I no longer want to be true! Yes. The work, the real cleanup job is within each one of us. The end of the year clearance sale begins within. It is time to clear the habits and behaviors that are not highest and best for you and others. It’s time to stop over-eating and eating for the sensation of fullness and pleasuring the mouth. It’s time to eat sensibly and nutritionally energizing and life-sustaining foods and beverages. It’s time to cease habits that are unhealthy and unkind to your mind and body. You know when you drink and use food and other stuff to give yourself short term gratification. You know when you are not taking impeccable care of yourself. You know the consequences of not exercising and getting fresh air and sunshine. Yes, it is time to daily take impeccable care of the vehicle, body and mind. It is also our responsibility to clear unwanted situations and unhappy relationships. It is time to forgive ourselves for being hurt victimized, and being disempowered. It is time to stop allowing others behaviors to interfere with our happiness and inner peace. It is time to step up with courage and love and bring peace and harmony to all circumstances. You know when you need to be alone with your own thoughts. You know when you are over-tired and over-reacting and over-doing. You know when you have tried to maintain what is no longer good for you. You know when you need a break to reclaim your center, you identity and your inner peace. It is time to learn the lessons of this year and our lifetime and act accordingly. It is time to forgive and bless our ignorance and our resistance to change. It is time to stop blaming others for our unwillingness to learn a better way. It is time to undo the dysfunction interactions and start acting only as a respectful and responsible adult. You know what you want and what you have done to sabotage your achievements. You know your impatience and laziness and waiting until someone else makes it easy attitudes. You know when you don’t care anymore and how it shuts down everything and everyone around you. You know your unhappiness and anger are contagious and create more of it in your relationships. It is time to stop worrying about what others think and do what is right and true for you. It is time to move forward, day by day and step by step in the direction of your dreams. It is time to forgive yourself and release self-defeating and negative habits of mind. It is time time to choose to be happy and at peace no matter what is happening around you. Yup! It is the end of the year. Time to clean out and clear up what you don’t want in the corners of your mind or the closets of your life. A Happy New Year only comes when you clean up all sources of unhappiness. Are you willing? That’s all it takes. Dec. 31- New Year’s Eve Workshop “Dare to Prepare for 2009" 2-5PM in PH. This is a workshop to let go of 2008 with forgiveness and gratitude, clearing the past. Releasing what was allows us to paint on the new canvas of 2009 whatever we choose. Together we vision and create a collective picture of health, happiness and true prosperity. With enthusiasm, we enter the New Year filled with hope, faith and energy to built the future. Bring goodies to share if your like. Special readings given. Contributions welcomed. To realize our Abundance we must first receive abundantly. To receive the inherited riches, we must recognize All the Gifts. What have you been given that you have not received? And why would you not receive if you knew the gift was of value? Have you enjoyed the Beauty of this earth? Have you experienced the Joy of creation? Have you known the unconditional Love of God? Have you seen the Goodness in yourself? Have you been touched by the innocence of a child? Have you been moved to tears by the healing Presence of another? Have you been awakened by the sound of birds singing just for you? Have you realized how precious you are in the heart of your Creator? Have you received the gift of life? Have you received the Love you are? Have you received the promise of happiness and peace? Have you received the wisdom of your inner guidance? In life we may separate ourselves from the Infinite Giver. Humanity sometimes holds itself apart from the Source of Creation. People get caught up in everyday struggles and forget to listen within. Sometimes fear and judgment makes us feel unworthy to receive the gifts. We may not realize how blind we are, confused by the distractions of the world. We may not hear the sounds of nature, when we listen only to the words of mankind. We may not know this world is full of loving reminders just for our enjoyment. We may not fully receive the gifts on earth, because they are taken for granted. We cannot truly give what we have not yet received. In order to fully Love, we must recognize the Love within and truly love ourselves. To be willing to embrace others, we need to first be willing to accept ourselves. With forgiveness of our own errors, we can more easily forgive others’ mistakes. So what is the Gift, waiting to be received? Receive Infinite Love, acceptance and warmth, whenever and wherever it is given. Receive Natural Delight, the Joy of Being fully alive. Receive Endless Peace, the place of stillness and union with All That Is. Let us affirm together, our prayer of praise. Thank you God for the unlimited Loving Reminders that you offer us in each moment. We receive your Love and Peace and Joy with every Holy healing breath of gratitude. We love your gifts to us and share them abundantly with our family of humanity. Today is a New Moon. This is the time to plant the seeds of vision you want to grow. Now is our time to celebrate this new opening in the consciousness of humanity. Now is the time to seek to serve the Good, the healing and the Co-creative Spirit. Now is the time to step up and speak up for what is fair and just, honest and true. Now is the time to voice our ideals, our values and our choice to serve the Highest Good. Now is our time. Forgive the past. Choose again the future you want for our children. What is the deal with empathy, every time i am around someone i can feel what they do. for example this girl is 12 and she is hyper when i am around her i get hyper. when people feel bad i feel it. my cousin has a lot of energy when he is around me man i get energized. is this a gift from god or is it the ego. and if it is a gift from god how can i use it to help people. i will ask the holy spirit tonight. do you have any ideas about this. thanks. also when people argue or are in bad moods i feel it and i just leave the area. Thanks for asking and thanks for listening within for the answers, too. We are all One. When we are connected in love, we can feel what is happening for those around us. Since we are One, to be truly helpful, we can heal it in ourselves and it will be transmitted to others. Since we are One, we receive the thoughts, the feelings, and the physical experience of others. As empaths, we can feel it all in ourselves and reveal and heal it in ourselves. With true spiritual empathy, we will connect with the Highest Truth and the Light, in one another. With true empathy, we see beyond appearances and forgive, release and erase what is not Love. With true empathy, we recognize what is real and loving , whole and true. I need not be worried about what to say or do because the Love that sent me does direct me. I am here on the planet to serve, to help, to heal. I am here to be the Presence of Love and Light. I don’t have to be concerned about anything because I am guided by Love within. I am happy to be wherever I am, knowing I am always following the path of Love. I will realize my own holiness when I allow Love to see only Wholeness and Holiness in others. So my way of being truly helpful to all humanity is to see with forgiving eyes the Holiness in everyone and All That Is. I am guided to see with the eyes of Love. When a mind holds only Light, it sees only Light. As I do everyday, and especially when I have an awareness that I may need refinement in my choices, I sit and ask Spirit to reveal what is my direction, my focus and my decisions for the Highest Good. I sit in a quiet place uninterrupted with a notebook and pen and write what I hear, feel and know in my mind/heart. Everyone receives guidance differently, so you must practice to find your own right way. This is what I received today. Dear God, Help me to keep my covenant with you that I might create a healing and holy life. May all who come into my presence and your Presence be awakened to what is your Will, to Happiness and Peace. What is your will for me this day and everyday? Yes, Be happy and healthy. Glorify God and Good. Turn away from evil, that which is not giving Life. Forsake those things and activities which deplete, distract or delay you. Give your faith to that which strengthens you spiritually as well as mentally and physically. Allow no one and nothing to come between you and God. Recognize all interference, doubt and questioning as what it is, fear coming into your assurance of Love. You see in all things Love, perfect Trust and the freedom of choosing again. Love prevails. Love is Real. Love sustains Life with or without the physical vehicle. Only Love can save you and bring your Peace. Love sets you free to fully be the naturally happy, energized and abundant child you are. Yes, you are a Child of God, a Child created by Good as Good for Goodness sake. Love her well and give her only reassurance, Happiness and Peace. In this you have fulfilled God’s Law and Live in Holiness. This blessed message I extend to all of you this day. You can listen within and hear exactly what you need. Ask and you will receive answers when you are wholly willing to follow. This is Christmas Eve, the day before the Christ was born. So much of the details are not known, but originally told in oral tradition and then written. But all stories have a meaning and a message. Have you discerned the underlying story, the real message for You? As I was awakening I was listening and asking for the message to me. I looked at my life, in which I have admired and followed Jesus’ teachings. I asked what his story was teaching humanity to be. Born in lowly circumstances, simple, clean and natural environment, he was deeply loved and respected from birth. No pretense of specialness, except those around knew he was to be a great one. Is this true of your birth? If no one “knew” you to be Great, you can give yourself that assignment today, your Christmas. Eager to learn, he listened to and learned from his elders, from nature, from everything around him. He questioned the meaning of scripture and pointed our discrepancies. Do you pay attention to words and behavior and notice the discrepancies between teaching and living? Do you question the meaning of scripture and how teachers and preachers do not live what they teach? He trusted God in all things and didn’t listen to the fears and directions of others. Jesus went into silence to listen before acting on the usual customs and behaviors of his people. Do you take time to listen within, to meditate, to be still and ask for guidance in your life? Do you trust what Spirit guides you to do or are you guided by humanity’s needs and requests? His life was one of living in meager circumstances, never exalting himself, minimizing his needs. He wore peasants clothing and walked everywhere. He stepped away from letting others exalt him. Do you dress and behave simply and understate your knowledge and abilities, empowering others? Do you honor your elders and governmental authorities by obeying the law and being respectful? He was willing to stand for what he knew to be True without wavering in the face of ridicule. Jesus trusted that his life was a living and teaching model of what would heal and lift up all people. Do you live your life as though future generations are watching and learning from your example? Do you act in private and public in ways that you know to be good and helpful for everyone? “Greater things than I shall you do!” for “You are the Light of the world.”, he said to the people. ”I came that you might have Life and have it more abundantly.” The story tells us. Are you willing to step away from humanity’s teachings of littleness, lack and limitation? Do you live yourself our to impoverished thinking and focus on natural Abundance and Greatness? Do you recognize your brother, your enemy, your neighbor is yourself? And in loving everyone, you are loving all parts of you and the Almighty Creator, that created us All as the One? I wish for us to awaken to the awareness that within us all, coming from lowly and simple beginnings, we can be the teachers and those who live the teachings of LOVE. Now is the time to simplify our thinking, our words and our activities. Give to one another as we have received. Receive those things that come from God and can be used for Good. Trust the Highest in All things. Seek not to serve the separate and limited self, but rather nurture your Abundant Wisdom and Love. Give the Highest Truth you know to those what come to you. Forsake the riches and distractions of the world to live in peace within and love without. Life comes from giving Love and Living the Truth. The Good News is we can forgive and choose again right now! Loving you and Happy Holidays, every day! Shopping? Cooking? Laughing? Opening Presents? Special Sales? Christmas Caroling? Eating too much? Or perhaps the Love in the Season of giving? For me, Christmas is the annual reminder of Giving and Receiving the Gifts of Love. They come for me in the form of giving to people who are shut in or away from their families. Soldiers and hospitalized vets, residents of assisted living homes and convalescent hospitals, those who have lost their families or been abandoned, they need to know they are loved. And so it is at Christmas time, I invite us all to remember how blessed we are to know the meaning of Love. We have the opportunity to call and write to those who might not be remembered. We can bake cookies for our neighbors or our church. We can drop change in the Salvation Army bellringers pot for those who are taken in from the cold. We can smile at harried shoppers and sales people. We can go caroling to hospitals and senior centers. We can sit quietly in prayer for Peace on Earth. We can envision the world politics change for the Good of All. We can watch inspiring or happy stuff on TV. We can whistle our favorite Christmas songs. We can take some canned goods or extra food to the local food pantry. We can prepared our favorite meal or holiday dish with special love and blessing. We can give our gifts with the oinnocent delight of children. 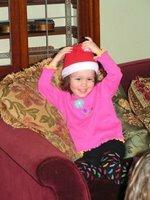 We can remember a few of our favorite things from Christmas past. We can forgive our mistakes and choose again for the highest and best we know. We can give ourselves the gift of polishing our own inner light and delight. This is the time for coming out of the closet of our own fear and defensiveness. This is the time for counting our blessings and bringing blessing to others. This is the time for letting go of what was and choosing again for what will be. This is the time to shine our light brightly in the darkness and teach by example how to be happy. Christmas is coming again in you and me. We make each day be what we want it to be. Choose again for the Christmas you want to have. Make it healing, healthy and holy! Let me know if you can come caroling with us on Christmas afternoon. What is the best gift you can give to yourself? How about looking within to what will inspire and motivate you? How about something that will be truly meaningful and lasting? How about what brings our your natural joy and creativity? Why not give to yourself that which will last for a lifetime? Often we have been conditioned to give gifts of temporary joy. Sometimes we reach for quick fixes of short term pleasure. Or perhaps gifts of romance and glamour come to mind. But how often do we listen to our heart’s calling for something Real? What could be the fit that will renew our Spirit and strengthen our faith? What is the greatest gift your could receive at this time in your life? What is the most loving gift you can receive to remind you of YOU? Wholesome gift ideas just for you. **Time alone on a weekend retreat of reading, reflection and rest. How about going away to a mountain cabin, or ocean hideaway or just be at home in your own bedroom with no phone, computer or interruptions. Just good books, journals, comfy bed and chair and You. Let people know you are on vacation retreat and really take some time just to be with your Real Self. **Really warm clothing for outdoor play, exercise, walking, photography or just being. What will motivate you to get out in the winter for sunshine and fresh air, simply to move and enjoy? **Signup for classes or a group that will focus your mind on positive, creative and loving stuff. I design all the workshops and groups I facilitate to be inspiring and joyful for me first. I know that what we do with love and appreciate expands brings health, happiness and fulfillment. Some need more alone time to be quiet. Some need more people time to share and care with others. **Take some time to really nurture the creator in you. Create with song, dance, instrument, garden, decorating, painting or writing. Perhaps redoing a room with warm colors, happy sounds and yummy fragrance? Create a new physical experience with new foods that are really healthy for you. **Take yourself on an adventure. What have you longed to do, perhaps challenging or exciting? Begin to research, plan, save money and even pack to set the stage. Now is the only time that is real. Why not fill your now with what brings joy and imagination? **Spend time with someone you feel most gifted to be with. Think of the one person you would love to share a few days or even a few hours. Set aside time with them simply to be…or ask questions….or share your dreams. Ask for and prepare for your meeting or phone call or letters. **Give to someone, to a charity or cause that inspires and fulfills you. Imagine what giving would feel most values and valuable to you. Set aside, time, energy, money and resources to full give what you have. Begin giving monthly some part of your paycheck or go to help weekly. **Forgive and heal a painful wound or relationship to free your heart/mind from suffering. Listen inside for what it would take to fee whole, happy and free again. Write a letter to yourself and to the other about your desire. Be honest with the words you need to hear to get clear….Then say them to yourself. **Fulfill a lifetime longing, a dream or vision you have held in secret. Be hones with what might have been placed on the back burner to meet others’ needs first. Tell yourself the truth about what you REALLY want. Give yourself permission to have that special something for a few hours or even in your imagination. I am sure your have other Spiritual and inspirational Gift ideas for yourself. Make your own list for Santa. And be Santa Claus in your own life!! Can you imagine what would be see if we called forth more light? Perhaps this is the reason we keep so much in the dark. When we believe what is see will be judged, we hide away in the darkness. Our secrets keep us trapped in guilt, fear, withheld love and intimacy, hurt and lonliness. That is the call of the winter, the call of the inspired, the call for the creative. When we have more light we can see what to clean and purify. When we see more clearly, we can heal and bless, forgive and feel appreciative. When we have more light, we can see where we are going. When we know where we are going, we can move around the impediments. When we trust and free ourselves from limitation and lack, we are abundantly joyful. To educate is to lead from darkness. Let’s educate ourselves and others with enthusiasm rather than shame. Let us educate ourselves and others by relinquishing our clinging to the past. Why not turn up the lights in your home and office? Why not turn on the lights in your mind? Why not stop hiding your secrets in dark places and let the Son shine? How about letting go of the fears that have held you captive. Step out of the prison of your own judgments and set yourself free. Release the reminders and remainder of what is no longer worthy of you. Whenever caught in fear, in anxiety or judgment, visualize Light in your mind. Once your mind is filled with let, begin to surround all that you see with Light. Hold the picture in your dreaming of a world filled with glorious Light of Love. Share this picture of Light and Love everywhere you go and within everyone you meet. Light is our way home to peace. Light is the path to safety and comfort. Light is the gift of joyous laughter. Light is the sign we remember Love. Be the Light in the world. Bring your Light to the world. Visualize Light in the darkest places. Ensure Light everywhere with your happy willingness. True Abundance is always having Just Enough. There is no fear of lack. Thank God I am willing to have and to use what I have for the Good of All. When I am without fear of losing and lacking, I always have just enough. When I know my needs for myself and others are provided, there is just enough. When I trust that whomever and however I am to serve will be provided for, there is just enough. It can only be from fear of lack that we seek to stockpile and get more. When I am living in trust that there is always abundant resources, I am at peace. What I have is always just enough. Enough means that I have good food on my table and ability to serve guests. Enough means that I have warmth in my home both in temperature and in Spirit. Enough means that my clothing and appearance reflect the Love I have inside. Enough means that my needs for fresh air and water, sunshine and beauty are available. My work is to be willing to make healthy and healing choices for myself , my home and planet. My work is to move into environments in which I am willing to give and receive the riches I have. My work is to forgive the fears and insecurities, false beliefs and misunderstanding about lack. My work is to love all children on this earth as I love and care for myself. When I am willing to let go and flow, there is a magic of unlimited supply. When I am willing to share the Love I know inside, I can always safely abide wherever I go. When I am willing to be the natural innocent and trusting child I am, I am richly blessed. When I can see that in you is everything I see and know in me, then I easily Give All that I have. You see Life is for giving. We are gifts, one to another. In the giving is the receiving of the Gift I AM. In the receiving is the Joy of knowing I Am just enough! Yesterday in Trader Joe’s I saw a woman who was making a few careful selections. She wore raggedy and dirty clothing and all little uncertain. My heart urged me to offer to give her some money, but I felt embarrassed to ask. Telling the truth, I said to her, “I am a little embarrassed, but I want to know if you could use a helping hand with a little extra money.” She was surprised and said, “Yes, of course. I can always use money.” I realized that she wasn’t homeless or destitute. We laughed, hugged several times in the next few minutes of animated conversation. Now the synchronicity is: Nancy raises Boer goats on her Petaluma farm. She is having kids next week and invited Gia (10) and Sofia (3) out to visit next time we are in town. This is a fabulous and wonderful connection for us all. What a story of how much is received in the happy. willingness to give. Christmas is for giving your Light and your Love. These are the Real and Lasting Gifts we bring. Wise men know that temporal gifts may not be utilized or appreciated. Most of us have forgotten what really matters. We are here to feed, clothe and provide shelter the hungry and homeless. We are here to care for the ill and dying and provide comfort and healing. We are here to create laughter and learning for the ignorant and suffering. We are here to inspire and encourage those who are searching and forgotten. We are here to give to those who need to be reminded they matter. We are here to enjoy the fulfillment of giving. We are here to remember we are all one family. We are here to truly love one another. We are together here on this Earth to awaken the Light within. So let’s begin with the One we are. Except for little presents for the grandkids, which are given throughout the year, for 20 years I give no special Christmas gifts. Everyday is Christmas. Everyday is an opportunity to share my gratitude, joy and love with those I meet. 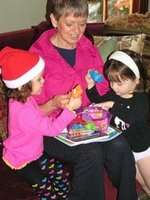 We read Chanukah stories, hide gelt and light the menorah with our grandchildren. We take our church group to a recovery half way house for women and children for useful presents, clothing, shoes, blankets, toys for children and refreshments, but our Real Gift is hugs, laughter, singing Christmas carols and celebrating the joy of the Season of Love. We take everyone who wants to come to sing carols at local nursing homes and assisted living facilities. We hand out teddy bears to everyone, young and old. We offer New Year’s Eve workshops at church and our Center to focus on respectful endings and new beginnings. We have ministry solstice blessing celebration with focus on more light. We encourage everyone to join us or find your own holiday rituals or make them up each year to bring everyone good cheer. This is a time to really enjoy the company of others. Going to see Christmas lights after dark. Making your list for Santa. Setting out mild and cookies for him to eat and a few carrots for the reindeer. Reading the original story in the Bible or reading Chopra’s new books on Jesus. Remembering to Love everyone for we all are in the family of Man, a spiritual family of Love. Christmas is a sacred time of remembering really why we are here with one another. We all have different amounts of energy. Some are full and overflowing. Some are diminished and some are intermittent both on and off. We must respect others, while attending to our own energy flow. Find your own rhythm, cycles and natural needs to sustain your optimum energy. Notice what works for you and what inter-fears with your energy. Observe what areas you see to shut down or feel depleted. Be aware of what you need to restore your energies. Yes, good rest and sometimes naps are vital for mental and physical restoration. Yes, good nutrition and regular meals are essential for physical energy. Yes, loving relationships and productive work keep one’s spiritual energy flowing. Yes, there are thoughts, fears, worries, resentments, judgments, defenses and beliefs, that shut us down. What is in the mind can be cleared with breathing, prayer, forgiveness and affirmation. See the 30 day process at the end of this reminder. What is interfering with the physiology can be addressed with good care of our physical vehicle. Remember to give yourself what you would give a best friend or guest in your home-the Best! Notice what habits or experiences really change your energy. These are external things we can correct or work around. For me interruptions are a cause for stress. I like to stay in the zone whether writing or exercising, counseling or playing with the grandkids. I like to listen to one conversation at a time. I like to give everyone in my presence equal attention. I like to finish a thought or idea before shifting onto something else. I like to fully receive what I am being given. I like to appreciate each moment fully before moving onto the next. I am energized by being here and now. And so I have created a life where I have few interruptions. I use email for much communication. I determine my timing to read and respond. I have set times for phone and direct communication in coaching and counseling sessions. When I have a group, one person shares at a time with no cross talk, so everyone can listen. Even in my home I usually encourage no side conversations, so everyone is included. My home is silent in the morning for the first 2-3 hours while we do our spiritual work. We do not interrupt each other and wait respectfully for the right time to connect. This is one way I take care of my energy flow. Ask yourself what weighs you down and depletes your energy. Give yourself opportunities to recreate your life to have adequate quiet and peace. See if you are energized by being with people and depleted with too much solitary time. Notice if you need to be productively and creatively working more or more time to relax. Each of us is unique in what we need. Take time to find what is best for you and create your life accordingly. You are responsible for taking impeccable care of you. You are teaching those around you to take impeccable care of themselves, so we can all be our Best! If you feel some stress turning into distress, take a break. If you start judging someone or something, take a break. If you feel some physical pain nagging at you, take a break. If you are at a loss in handling a difficult situation, take a break. Life is often too full to see what is right in front of you. Life is often too busy to have time for yourself. Life is frequently asking you to put your own needs aside. Life is a place of distraction, delay and urgency. Taking a break is simply and natural. A nap for 20-30 minutes. A walk soaking up fresh air and sunshine. Read an inspiring quote and reflect on it. Sing a favorite song out loud. Move and dance to music you love. Say a prayer of gratitude and praise. Do something creative-baking, painting, writing. Watch or envision something that makes you laugh. Just shift gears and do something totally different. Too often we get sick or have a problem to get rest or “take a break”. Be proactive and learn to choose wisely and well for yourself. You will think better, love better, create better and learn better. Life works when you stop trying and simply let go and flow. Loving you into taking several breaks this holiday season. When what your plan gets interrupted? Change your plans and flow with what is. When your health goes south? Direct your attention with gratitude what works well to heal you. Appreciate the job you had and open the way to the next right livelihood for you. In the meantime, volunteer and use your gifts. Decide that there must be some value, lesson, gift or blessing in it all. Today we were going to go to the mountains to spend the day sledding and playing in the snow with the grand three, Lila, Harper and Beckett at South Lake Tahoe. A winter storm is coming through, so here we are at home, staying safe and warm. What we will do today is enjoy each others’ company, play games and trust there will be another right time soon. This makes it easy to find happiness with whatever occurs. Life and its changing weather, moods, political and economic stresses cannot be predicted or planned for. But we can find our own center and live from that place with inner peace and certainty that our needs will be met. We can choose to be happy with life the way it is. We can choose to love it all anyway, rather than shrink back in fear. We can choose to look toward the sunshine rather than judge the rain and snow. We can choose to make up ways to continue to be happy in spite of what may be occurring. Our attitude determines our experience. So choose the experience you want to have. Find the attitude and thoughts that support it. Live determined to hold the attitude that serves you. Here we are dark times, fading of the day light, fear of job loss and economic ruin, cold and stressed. Here we are seeking a savior, some saving grace, a warm fireplace and a kind and giving face. Here we are in trying times, figuring our where to go and how to feed, clothe and shelter those in need. Remember the Love You Are. Here we are discouraged, confused, angry and uncertain, losing connection with our emotional drama. “Yes.” Say “Yes” to all that is Good and Kind. Say “Yes” to those who are creating a better way. Say “Yes” to turning on the lights of the greatest minds. We can say “Yes” to find our way to lift up and Love all Humanity. This season, there is a reason to light up the darkness. This season, there is a reason to love one and all. This season, there is a cry in the wilderness for kindness. This season, there is a need to forgive our past forgetfulness. Gifts not from the pocketbook, but from your heart. Your Presence is needed, not your presents. Your laughter is needed, not your regrets. Your gratitude is needed, not your complaints. Your love is needed, not your fears. Your inspiration is needed, not your depression. You direction is needed, not your confusion. You can and do make a difference! Send letters to those overseas, in service of their country. Call those shut in or forgotten and left by their families. Smile at strangers in stores and on the street. Give to the bell ringer whose pots feed the hungry. Play holiday music instead of watching the news. Bake some cookies and share with your neighbors or at work. 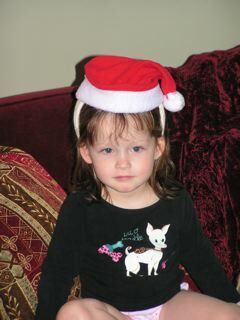 Go caroling at local nursing homes or senior centers. Invite folks over to play games and together. Tell stories to kids about what fun you had or how good Santa is. Thank those who are giving to others throughout the year. Make a commitment to be more loving and giving with each year. Remember you are the Gift and the Giving. And it is your Presence that makes the difference, now and throughout the year. 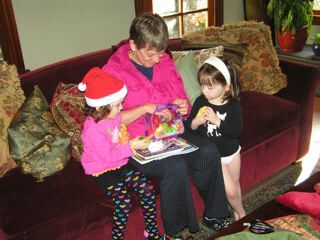 ￼Yes, that is Grandma Betty Lue exploring some new sea creature bath toys with Lila and Harper. Small gifts throughout the year are what we do, rather than adding to Christmas chaos. When you live naturally, you have the time, energy and resources to do whatever is inspiring and good for you. To live naturally is to live simply and economically. To live naturally is to live with respect for the gift of life. To live naturally is to live with appreciation and open-mindedness. To live naturally is to live in Love expressing Joy in Being. How would it look for you to live naturally? Go to bed early, no later than 10PM and relax before bedtime. Do spiritual practice, prayer or inspirational work first thing in the morning. Fresh air, sunshine and movement are natural ingredients for whole life health. Make sure your day is focused on what you really want to experience. Physical work is the best exercise, and getting out into nature. Eat a substantial breakfast of whole grains and fruits. Eat your biggest meal mid day between 10 and 2PM when the digestive fires are strongest. Eat a light meal for dinner, at least 3 hours before bed time. Eat with blessing and appreciation with no distraction so you can taste and enjoy your food. Eat home prepared vegetables and fruits and whole grains and natural proteins. Eat what is prepared and enjoyed in a peaceful and happy environment. Eat only when hungry and stop when 80% full. Share your meals with those who bring appreciation to the table. Learn how to cook simply and well. Keep your home and your car clean and in good condition always. Every morning awaken with a prayer of gratitude and a focus for the day. Tidy your home morning and evening. Handle your mail one time throwing away what is unnecessary to read. Pay all bills at a regular time in a sacred way with gratitude for each one. Honor those who serve you by supporting them with your gratitude and $ contributions. Take impeccable care of your things. If you cannot care for and utilize what you have well, give it to someone who can. Keep everything in good repair. Light and heat your home so that you feel warm, secure and loved in every room. Make sure you clear all clutter so that you can relax without seeing more work to do. Keep your bedroom and resting space free of any reminders of exercise, bills or work. Use everything well or share it with someone who will. Buy what you need, not everything you want. Eat to live, only what is truly nutritious and healthy. Give generously to have abundant joy and fulfillment. Treat your body with what is totally life-giving and energizing. Feed your mind thoughts and images that are positive and inspiring. Strengthen your Spirit by taking time each day to listen within. Appreciate your Whole Life everyday in every way. To be reactionary is to meet life with fear. Our tone of voice, our posture and our words belie our defensiveness and need to be right. When we don’t trust, are afraid, feel unsafe or are just plain angry or hurt, we “react”. Life invites us to choose our reaction or response and observe what happens. Usually we are taught to let life lead us. Let what other people do or say teach us how to react in like manner. This is the learned and ineffective victimized approach, being “at the effect” of the world. This is the way of fearful and defensive people. Assess how often do you speak before you think? How often do you meet anger with anger? How often do you feel hurt and misunderstood? How often do you justify and explain yourself? When we leave a conversation or situation feeling disempowered or hurt, we have been reacting. When we raise our voice, defend ourselves, justify our behavior or just get mad, we are reacting. When we leave a conversation of situation feeling strong, happy and loving, we have been responding. When we speak calmly, listen carefully and appreciate the other for sharing, we are responding. To be responsive is to meet life with Love. Our voice is calm, our posture open, and our words kind when we are able to respond with Love. When we trust, are at peace and feel safe and loving, we can “respond”. When we are response-able with our feelings and focus on our goal of Loving, we can respond. Being mature in life is much about focusing on responding to others with the Best in mind. Being an adult is really about taking good care of ourselves so we are able and willing to give. Being a responsible person is being able to respond peacefully and kindly to all circumstances. Being able to forgive when we take other’s pain personally is very grown up behavior. When we are responding, we focus on how we can listen. We focus on being helpful. When life is about meeting our own needs, (because we have not cared enough to meet them ourselves), set others up to serve us and fill us with what we want or expect. When we feel sorry for ourselves,, we have not loved ourselves well. When we are feeling hurt, we have made it up that others can and should take care of our feelings. When we are lost in loneliness and feeling unappreciated, we have focused on not filling our own needs. When we believe that loved ones are responsible for loving us well, we will get disappointed. To be responsible is to take responsibility for filling our own needs. To be able to respond is to be full of kindness, appreciation and happiness within ourselves. To be willing to respond to others’ needs, we must have met our own responsibly. To be the one who cares and dares to share, we must take impeccable care of our lives. Take a break when you start reacting in an unloving and self-focused way. Appreciate your willingness to find a better way ,one that works for everyone. Notice that you are willing to be the teacher of Love, rather than the demonstration of fear and anger. Life is in our hands and in our hearts. We can choose to be the Good we want to see. We can and do make a difference each time we give what we want to receive. My Goal is Peace on Earth and Good Will towards All. My Purpose is to happily spread happiness everywhere. My function is to forgive, erase and undo everything that is not peaceful and happy in me. 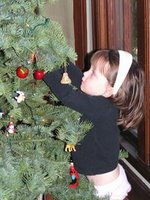 When I began writing these Loving Reminders almost in December 1998, I did not know what would happen. I knew only that after receiving my personal inner guidance from the Voice Within since 1976, that I was being called to share spiritual guidance using the computer and email. After almost 10 years, they are sent directly to over 1000 people around the globe. And many of you send them on to your own mailing lists. There are now three self-published little books of Peaceful Reminders, Loving Reminders and Relationship Reminders (most of which are now sold or given away). There are two books waiting to be edited and printed…..hopefully early in 2009 Healthy Reminders and Healing Reminders will be birthed. Why would I sit at their computer every morning for 10 years and continuing sharing Good Stuff? You are a part of me. Your happiness is mine. Your peace makes a difference in our world. Your spiritual healing and growth change the world for the better. I care about all of us. I need reminders of the Love we are. I need to be still and listen within to the Voice for God and Good. I need to trust that Love prevails and heals all the anger and fear in the world. I need to know we are waking up and together in this healing and holy world. And so I write these Loving wakeup calls. I share the best I know. I give the highest and most healing (holy) truth of which I am aware. I care and I dare to let it show, so we all will know we are loved. Why do you matter so much to me? If you knew my heart, you could see that I am here to do exactly what I am doing with my life. If you could feel my love, you would know that I love you and believe in you as I do myself. If you could hear the Voice within me, you would believe I am here to Love us All by waking us up to the Love inside. My whole life is devoted to loving and giving, to healing and serving, to inspiring and revealing. From early childhood I knew I was here to be truly helpful. It is my joy, my purpose and my life. I am happy when I am giving and creating and inspiring more willingness to love. I like a world that works. I am happy and free when we all are living with respect, responsibility and cooperation. What can I do by writing to you? I can wake you up. I can keep us all remembering. I can share the best I know. I can reveal the simply spiritual Truth. I can give practical guidance for what works. I can offer hope, encourage faith and inspire giving and forgiving. What is the message I want you to know right now? I want you to know I will never forget or forsake the Good, the Godliness in you. I will never quit on loving you, believing in you and encouraging your healing and revealing of Self. I Love you and bless you and see your Goodness, your Beauty and your Holiness…. This message is for you, for everyone who reads it. This message is for the children, the adults and the elders. This message is for those who hunger and for those who are filled with Spirit. This message is for those whose lives and relationships are working and those who are filled with discouragement, anger and fear. This message is for the poor and the rich, the educated and the ignorant, the skeptics and the believers. You see, I know we are all loved equally by our Creator, the Source of All Good, Love ItSelf. And so as a child in this family, I am called to love you and believe in you, to wake you up when you are sleeping and appreciate you in awakening to live your Highest and Best Self. Life is Good when I remember to Love. Life is a Gift to You as You. Until you fully receive the Gift you are given, you cannot fully give the Gift of You. We can only deny ourselves, for all things are given unto us. Life is for giving and we are the gifts. To give, we must first have. To give All to All is to have All. There is no separation in what is given and received. The ego personality believes it lacks. This false self gives to get what it perceives it needs. This illusion is concerned with comparison and judges itself and its gifts. Our learned and limited self believes life is for getting what we think we need and want. What doesn’t work for egos is that there is never enough. When there is a measure of what we give and receive, we limit our experience of fulfillment. When we have not fully received the gifts with which we are endowed, we cannot truly give them. When we are appreciative and celebrating the fullness and Abundance within us, we cannot fully give. Life is for the purpose of Giving. Giving with Joy and Giving Abundantly. When we have fully received the Good of our lives, we genuinely give all without limitation or hesitation. When we really appreciate Who and Whose We Are, we share without fear or comparison. We know we are always in all ways enough. We remember our Source and give thanks for the endless resources within. We judge no one and nothing for what is given or received. We highlight all opportunities to share the highest and best we know and have and are. Simply said, to really give, we must fully have received for ourselves. To give away what is not received by us, is a superficial or surface giveaway. When we feel we lose in the giving, we cannot fully have received. There is no loss in giving. There is only gain in the sharing. I am loving and giving to You and Yours my All. I celebrate and enjoy each gift, given as easily as breathing. There is no work, no loss and no hesitation or withhold. There is only the recognition that I feel honored and joyful to give what I have been given. What If, You Are the One? Is your home ready for an honored guest? When you come home, does a sanctuary await you? When you sit at you table are you eating nutritious foods? Do you speak to yourself with respect and gratitude? Are you willing to give yourself the best? Do you polish you inner light and delight with a daily dose of laughter and joy? Are you aware of the miracles in your life? Do you enjoy time celebrating the goodness you feel? Is it possible that with a shift in consciousness you might life yourself to be your best? Often we treat ourselves and our lives as ordinary or unimportant because that was our learning. In our family homes, churches , schools and jobs, we often are part of the masses. We are taught to conform and blend in. We may have been ridiculed for being different in how we dress, talk, eat and believe. And we learned to simply conform to the patterns and behaviors of those around us. Simply, many are encouraged to be mediocre. To step away…on retreat, in the presence of persons who excel, encouraged to be Great….we can learn that there is honor in exalting and actualizing the gift with which we are endowed. Use them and share with others. Honor yourself by taking care of yourself. Appreciate what is special and wonderful in you. Notice, receive and appreciate what is Good and wonderful in others. Begin to see a world of talents, resources and unlimited possibilities. Teach others by utilizing the best in you and everyone. Wherever we can be our Best, we raise hope, faith and consciousness of All Beings. Whenever we can share our appreciation, respect and open-mindedness, we encourage others. However we are called to be with Peace and Love and Joy in our hearts and minds, we serve Good in All. Life is a choice of living in ordinary mediocrity or extraordinary excellence. We choose daily. Life Is Good….. Waiting to be Gratefully Received! When we believe life is bad, we are vigilant for the evil and dangers. When we believe life is difficult, we seek out hardship and struggle. When we believe life is disease and death, we see and avoid illness and the end. When we believe life is serious business, we find all the serious and urgent problems to busy ourselves. Life is what we believe it to be. What we believe becomes our reality. Children learn from the history of their parents and elders. We adopt the beliefs of our family and continue the heritage. Why not let go, forgive and erase earnestly? All that you thought, experienced and have seen can be transformed. With the healing tool of spiritual forgiveness, we can see things differently. Let’s let go with love. Let’s appreciate every blessing and learn from every curse. Let’s stop to undo what isn’t true and choose Loved instead. Let’s make up what we really want and help it to come true. I can’t wait until we all remember this is True. This is my Christ mass! A time of joy and celebration, where everything is a gift of Love! I am prepared to see it all as gift for your and me. I am willing to set the stage when all of us are free. I am encouraged by the hope I feel to have us all know what’s Real. When our mind is clear and our eyes are bright, we can see through darkness and night. When we set our course and don’t delay, we can find Inner Peace along the way. When we journey with Love inside, we know God is All and Will ever abide. With this in mind, it is Good of course we will find. So the scriptures say,when we can praise Good and God every day. I am willing to give the reason for this season to the Love withing. I am willing to remember I am here to always begin with Peace. I am ready to sing out the Truth I know, to follow the Light wherever I go. I am ready to be filled with joy, knowing life is good and the rest a decoy. I am loving you from the bottom and top and inside of my heart. Are children to learn from adults? Or would it be wiser to let children teach us to be adults? Our behavior is a more powerful teaching than our words. When we say and do different things, it is confusing to others, both adults and children. Let’s look at where kids are not getting how to be respectful, responsible and cooperative. Let’s look at where all children learn their behavior. Let’s take responsibility for what we see in our families and schools, our streets and stores. Let’s be prepared to set the example and teach what we want to be in our world. Kids are taught to say “Please” and “Thank you” and “Excuse me”. Are adults remembering to always say “Please” and “Thank you.” and “Excuse me.”? Children are told to never interrupt. How often do adults interrupt children in conversation for phone calls or chores? Children are supposed to be honest and tell the truth. Do parents tell fibs and teach kids to not tell anyone……….? Children are taught to eat all their vegetables and not junk foods. Do parents eat all their vegetables and stop eating non-nutritional foods? Children are expected to do their best in school and with home chores. Do their parents and adults always give their best and not take shortcuts? Children are encouraged to be kind to others and not be mean. Do they see adults being kind and never being mean to others? Children are told to be helpful to their parents and their elders. Do they have parents and teachers being helpful to them when they ask? Children are taught to never hurt others or be cruel. Do the adults they see and on the news hurt and kill and do cruel things? Children are told to save their money, at least some of it. Do the adults in their lives save their money regularly? Children are taught to take turns and be fair. Do their parents wait in turn patiently and be fair to others? Children are told to not talk back or yell at their parents. Do the parents talk back to each other and yell at their kids? Children are told to pay attention and listen. Do the adults in their lives pay attention and listen to kids? Children are told to not use alcohol or drugs, but they see and hear adults do…….?????? The way we build the world we want is from teaching one another by how we behave everywhere. The children we raise are learning from us now to lie or be honest, to help or harm, to care or ignore. We are teaching our children exactly what we don’t want them to become by the example we give. It must be very difficult and confusing to be a child in today’s world. Maybe they are learning the lesson of entitlement from adults? Let’s clean up our act, and act like the adults we want our children to be! Children deserve to be appreciated for their kind and honest ways. Children deserve to be praised for trying to be helpful and fair. Children deserve to be seen for the Good they do everyday. Children naturally want to love and be loved for Who they are. Let’s love the children and learn how to really Love. 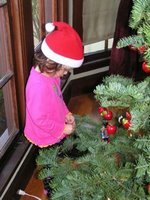 Harper and Lila, now 3 1/2 yrs and Beckett, now 2 years old decorated the bottom half of their Christmas tree with the help of Grandma and Grandpa. They each waiting while one at a time they placed their decorations. Those hats were from Their first Christmas photo. And Harper suggested we put it on top of the tree...so we did! Very Creative! It was fun and helpful and creative and very special! And then we read the new Christmas and Channukah books. Waiting for the Good Times? During these times of increasing darkness in the daylight and in the economic conditions, we can quit. We can get depressed. We can be fearful, angry or sad. Or we can get ready? Often when we are sitting in the middle of a mess, we feel discouraged and despairing. However, now is the time to get ready for the Good Times to come again. When we have difficult times, we can use them to learn and grow, to heal and strengthen ourselves. Use this time to strengthen your faith. Use this time to simplify and learn. Use this time to prepare and wait. Use this time to conserve and get ready. When we waste time and energy, we deplete our resources. When we have neglected to appreciate what we have, we lose it or its value. When we take good things for granted, we need the wakeup call. When we live abundantly, we may use this time to learn to share. Waiting for Good times is like waiting for Christmas. As children, we learn to wait to get….get presents and candy and laughter. As we grow, we learn to prepare for giving...to give thanks and the simply presents we make. As adults, we learn to give all year round and know a life of giving is the richest reward. So in these times with so many needing the essentials, let’s remember to share what we have. In these times when life seems stressed and filled with neediness of many, let us give wisely and well. Let’s share our meals, our money and most important our helpfulness and our hope for the future. Let’s look for how better to utilize what we have for the benefit of all people. Let’s ask how we can be consistent in our support for people and organizations. You see alone, we can share one on one. Together, we can share in bigger ways. During these holidays, share with those who care and pass it on to others. During these times of economic distress, stop being depressed and spread hope to one and all. During these days when we have less light, make efficient use of your energy and give your best. Smiles and “thanks”, small change in the bell ringer’s pot and just a little extra kindness . Loving you in all you are and do, everywhere with everyone. Do a values sort. Write down your highest 10-15 values. Then holding up pairs, keep choosing which one of the two you hold as highest value. Keep sorting through all of them compared to the one you hold until you find the first , second and third most important etc. The way it will finally conclude is recognizing that One holds most of the others within it. Hold true to this value with everything you choose in life and you will stay on path and in integrity, confident and at peace. Be sure you seek what you value. Be sure you find what you value. Be sure you value what you value. Be sure you enjoy what you value. When you give attention and energy, negative or positive, to what you don’t value, you give it Power. So turn off negative TV. Turn away from negative conversations. Stop participating in complaining and criticizing. Take time to read inspirational material. Give thanks for the Good in your life. Remember to appreciate those who Love you. Take care of what really is important. Giving attention where we are taken off course only delays our fulfillment and success. Give credit to the deserving. Honor those who are honorable. Appreciate what makes the world better. All along the way we are creating the life we want to have by the choices we make. It is our decision about how to spend our money, where to give our time and the company we keep. It is these decisions that determine our life experience-safe, fun and easy or dramatic, upsetting and hard. Choose wisely and well and you will learn what works well for you and what to eliminate. The life you have is the life you can learn what might be better to choose. We are all teaching our world with every action, word and thought. Begin today by teaching Giving to young and old with your consciousness. This year set an intention to give meaningful gifts with your consciousness. For many years I have chosen to give all I have everyday. What I have is not the temporal stuff. What I have is not something that ends with fire, flood or bankruptcy. What I have is not of this world. It is of the Spiritual realm. What I truly have to give is the stuff of God. It is Love and Trust. It is Peace and Happiness. It is Joy and Gratitude. It is Knowing All Is Well. There need be no special day to shine my light. There need be no special ones to give my love. There need be no special purchases to give my best. There need be no extraordinary gifts to exalt myself. I am giving what is inspiring. I am sharing the best I know. The rest would be empty, fleeting and meaningless. So how do I give to my little ones? How do I care about those in my care? I give what they want, what they need, what they can touch. But I give the “stuff” with the Real Gift of my enduring Love. With each one there is something more being wanted and requested. I must listen to their words, but more to my heart to know what is the request. I must honor not with my money, but with my Spirit what is really needed. I much Love enough to reach beyond my judgments or beliefs. For each of us …..it is truly in giving with gratitude and Joy that we find Joy and Gratitude. It is in being received for the real Gift behind the thing given that makes the difference. It is in the special moment of caring and sharing, sometimes just in my quiet time that I give the gift. I Love you said with that secret smile or glance. The surprise of a hug really felt or “thank you” said with heart and meaning can change our day and sometimes our life. Is it not time we gave real gifts of respect and appreciation? Is it not time to give help or share something made with Love? Is it not time to stop focusing on the thing and feel our connection? Is it not time to share what we really have within us rather than what we earned from outside? We can receive the stuff given to us with the joy and gratitude that emphasizes our relationship. We can write notes of unconditional Love and full appreciation that can be savored in quiet moments. We can certainly honor what others give to us by making them aware that they matter deeply to us. Giving generously of the stuff that really matters teaches everyone to give what is REAL. I do not need to have met you to know you. I am you, just as you are me. And I Love you deeply. Being able to respond with kindness is a gift. Being able to respond with forgiveness is a gift. Being able to respond with generosity is a gift. Being able to respond with clarity is a gift. Being able to respond with willingness is a gift. Being able to respond with consciousness is a gift. Being able to respond with joy is a gift. Being able to respond with an open mind is a gift. Your consciousness is a gift to the world. Give yourself whatever it takes to be fully awake and everything you do and say will be GIFT! When we are here to be truly helpful, we pay attention. When we are here to serve, we listen for opportunities. When we are here to teach and learn Loving kindness, we practice everywhere. When we are here to give, we seek appreciative recipients. When we are here to be helped, we find helpers. When we are here to be served, we seek servers. When we are here to get more, we look for generous givers. When adults have not learned the joy and freedom of being responsible, they cannot teach it. When parents are not caring for their children with gratitude and joy, kids learn responsibility is hard. When we struggle with the smallest “chores” with irritation and resistance, we cannot teach helpfulness. When the world seems to avoid taking care of everyday tasks (paying bills, cleaning homes and highways, etc. how can we expect kids to learn to feel happy about being responsible? Responding to the needs we see everyday in every way can be a way of life. Giving first to our own family and home, our health and our happiness is a gift. When laundry, meals, making our bed and cleaning are natural, we can extend our giving to others. When we pay our bills with appreciation and timeliness, then we can teach others how to live in integrity. Life is here as a learning opportunity. We have continuous surprise quizzes and exams. These make us aware of our willingness and ability to respond. When we have done our inner work, have cleared our judgments and fears, we pass easily. Let’s grow up and be responsible adults. Let’s make our beds and do our laundry. Let’s pay our bills and clean our homes. Let’s speak with respect and appreciation. Let’s stop complaining and blaming our government or our childhood. Let’s remember to say please and thank you even to our family members. Let’s contribute (affirmation, participation and finances) to the people and places that inspire us. Let’s give when and what and to whom has heart and meaning for us. Life becomes fun, safe and easy, when we respond to it with abundant gratitude and joy. Each responsibility is an opportunity to Give. Each responsibility is a gift of Love to ourselves, our family and our world. Life is an opportunity to clean up. First, take care of our own messes. Second, clean up others' messes. Fourth, restore beauty and order everywhere. Yes, we are all moving along the way stations. We gas up our vehicles with nourishment, kindness, creativity and inspiration. The gas stations are our kitchen tables, relationships, service and inspiring creations. Whenever we are awake we can clean up and teach cleaning up our messes. The more we let bathrooms and roadsides be littered, the more we bypass our work. The more we assume others don’t care, the more we go to sleep on the job. The more we make up excuses for adding to the messes we see, the more we lose ground. The more we blame and deny our own unconsciousness and unwillingness, the more we add. It is a conscious choice to be part of the solution. It is a source of power to step forward and do our part. It is part of our integrity to leave every place better. It is joyful to know we are doing what we can do . In every bathroom, choose to clean it up just a little. Ask for help kindly from the management. In every place of business, give appreciation to those who serve well. In every transaction at home and work, remember to say “please” and “thank you”. At home with loved ones, take responsibility, a demonstration of respect and generosity. Remember that your laziness or lack of consideration for others will be modeled. Be the change you want to see in your family life as well as in business. There is no place we can lose our focus and consciousness. We are not alone. You see, this world is a reflection of our inner selves. Where I live in peace, I am creating peace. Where I am speaking with respect, I am creating with respect. Where I am acting with cooperation and harmony, I am building a world of love. And so I am loving you and me, every time I clean a bathroom, smile at a stranger or give a little help. I am so glad to be me, right here and right now. We Are Making It Up! If indeed what we experience is made up in our unconscious, let us choose wisely and well. If what we see comes from what we first believe, let us consciously choose our beliefs. If we are always co-creating our lives, let us be aware of what we are visioning and fearing. If we are willing to take responsibility, let us stay awake, forgive mistakes and choose again. Mistakes or misperceptions are simple choosing to see with judging eyes and fearful hearts. Right perception is seeing with forgiving eyes and loving hearts. When we are willing to look on all things with love, appreciation and open-mindedness, we see Love and the call for Love. I take responsibility for setting up experiences that are unhealed from my/our past. I am responsible for my feelings, including feeling hurt, afraid or upset by anything or anyone. I can choose to forgive my momentary reaction and choose a response of kindness and respect. I can recognize everything is either a gift of Love or a call for Love. When I have an experience one time, I will learn only if I can appreciate, bless and see it as Good. When I have an experience two or more times, I must admit I am judging, avoiding, fearing or resisting. When I have multiple experiences, it is teaching me something I have neglected to learn. Life does not happen to us without our consent. On a higher or soul level we are all learning to undo the false beliefs from our past history. Human history, our parents’ stories, our own early childhood exposes us to many fear-based teachings. And when we forgive our limited and unconscious thinking, we see clearly how we participated. This is a tough “Pill” to swallow for those who perceive themselves as “victims”. From this perspective, we begin to see there is no harm until we hold it in our thoughts. We come to fully recognize how powerful forgiveness and Love can be to see clearly what is. Life is a delicious opportunity to stop “shooting ourselves” and start trusting in the healing process. Life is for giving and each experience is an opportunity to grow in responsibility and Love. And when we give our Best, our joy and Peace and Love, we begin to see things differently. I forgive anytime I did not claim responsibility ( an ability to respond) for all things in my life. I am blessed by everyone and everything in my life. I hold no grievances and therefore am free to love and trust and enjoy life to its fullest right now!